Bellevue volleyball team remains undefeated thus far. The undefeated streak appeared to be in jeopardy for the Bellevue Wolverines volleyball team in its matchup against the Mercer Island Islanders. Mercer Island won two of the first three sets, building a 2-1 lead. The Wolverines won the fourth and fifth set, earning a comeback 3-2 (25-27, 25-10, 22-25, 25-14, 15-10) victory against the Islanders in front of a raucous home crowd on Oct. 2 in Bellevue. 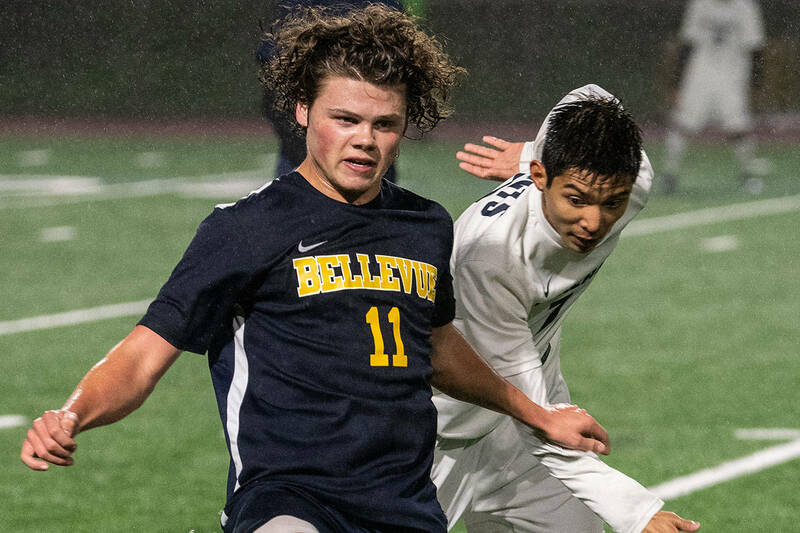 Bellevue improved its overall record to 9-0 with the win. Wolverines head coach Jamie Tingelstad was thrilled to see her squad conquer its biggest rival. “We’ve got such a big rivalry with MI (Mercer Island). To be able to do that (comeback win) against our rival makes it so much better and so much more fun,” Tingelstad said. Tingelstad, who was an assistant coach for the Wolverines volleyball program from 2015-17, is in her first season as the Wolverines volleyball team’s head coach. “I feel really lucky. I inherited a great coaching staff. I feel like we are five head coaches strong. I need all of their brains if we are going to be as good as I think we can be,” Tingelstad said. The Wolverines coaching staff consists of Joe Tassia, Noah Cohen, Meng Bak, Loretta Forrest and Tingelstad. The transition from being an assistant to becoming the head coach has been a smooth ride for Tingelstad. “I have watched a lot of these girls for the last four years. I know so many of them,” she said. 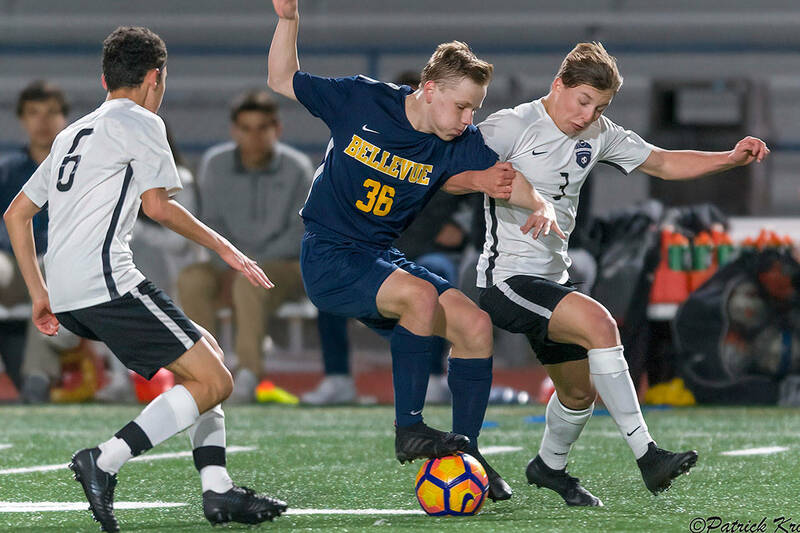 While the Wolverines haven’t suffered a setback on the scoreboard this season, it doesn’t mean they can rest on their laurels any time soon. “We’re still working hard in practice every day. There is always things we can get better at,” Tingelstad said. “Going to state (tournament) is always the goal for us but we’re paring it back and focusing on one game at a time. We just want to go as far as they are capable of going. I think they can do it,” Tingelstad said of her team. Senior Naomi Chen-Mallouk junior Julia Bray made consistent clutch points in the comeback win against the Islanders to keep their undefeated streak alive and well. “They have so much energy. They are such students of the game and they’re always wondering what more they can do or what they can change to get better. They just want to be successful,” Tingelstad said of the dynamic duo.